Longtime official and coach Jim Kilbreth received a sanction that does not permit him to officiate this weekend at the SCHSL Championships that starts Friday, the South Carolina High School (SCHSL) confirmed today to scrunners.com. Scrunners contacted the SCHSL and received the following response from representative Nessie Harris, "You are correct, Jim Kilbreth will not be working the State Track Championship and I would suggest you talk with Jim." This would have been Kilbreth's 38th year officiating the meet. The South Carolina Track and Cross Country Coaches Association (SCTCCCA) released the following statement, "This has caught the SCTCCCA off guard. We are saddened at losing two of the hardest working and two of the coaches with what we feel have the highest standard in morals when it comes to officiating. This would have been both their last years officiating the South Carolina Track & Field State Championship. The athletes will be the ones hurt by not having these two (three when you add Eileen Kilbreth) officials onsite. 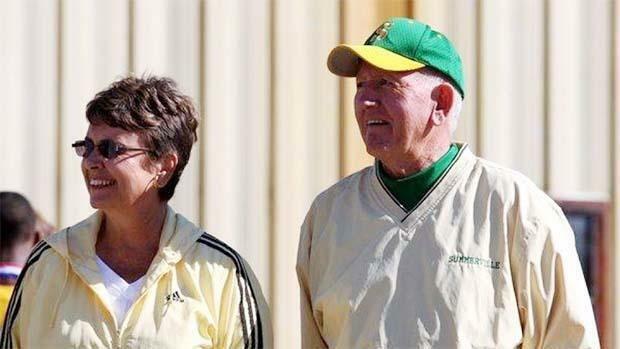 Jim Kilbreth and John Jones, along with Eileen Kilbreth have been a staple of S.C. XC/TF. This decision was not ours as an association." After much thought and soul searching, I feel compelled to write this letter. I will not be officiating the State Meet. My part in the State Meet is minor (awards announcer) but the principal I feel is major. I can not be part of the meet because of the treatment of Coach Jim Kilbreth. I have heard both sides and I can come to no other conclusion other than the High School League was bullied into using Coach Kilbreth as a scapegoat. I have known Coach Kilbreth all of my coaching career and can say without equivocation that he is the most honorable coach I know. He does not coach track yet has helped all these years run off the State Meet series. He epitomizes class and honor and it is a travesty for his last year as an official to end like this. If this man's integrity can be besmirched then we are all lost. From a purely rules standpoint, this (the throwing of the baton) should never have been allowed to be appealed in the first place. Rule 3, Sec 5, Art 4 states "Situations that are not subject to protest: a. Any judgement decision pertaining to violations or alleged violations of the rules." The referee nor the jury of appeals has the right to hear any appeal on this matter. The entire matter should have stopped right there. When the HSL allowed the matter to be appealed to them, they should have invoked another rule: Rule 3, Sec 2, Art 7 which states "Video replay or television monitoring equipment, other than the official finish line equipment approved by the games committee prior to the start of competition, shall not be used to make decisions related to the meet." and Art 8, b. which states clearly "Electronic devices shall not be used for any review of an official's decision." These rules are in place to avoid these situations. I cannot imagine the HSL looking at a parent's video of a holding call on the last play of a football game to try to overturn the outcome of a game - or to disqualify the official from the next year's State Playoffs. Do we look at videos from parents who protest a foul in a basketball game? If Summerville had been in second place, would they have wanted the call to have been made? If the call was not made, would we have looked at a video from the second place team? For a non-call, would Coach Kilbreth have been sanctioned for showing favoritism to his former school? The scenarios are endless. This is why the rules are in place. This is why the call (which was the correct call) should never have been allowed to have been appealed in the first place or the second place or the third place. This is why I can only conclude that Coach Kilbreth is the fall guy in a pressure campaign initiated by Summerville High and succumbed to by the League. Believe me I do not want to end my career with a controversy. This minor protest is mine alone. I will be easy to replace as announcer. However, I, my staff and Spring Valley will do everything necessary to see that the meet is a success. My coaches are still working the meet as needed. I will be available if anything with the facility or equipment needs to be addressed. We will do everything we normally do to see that the meet runs smoothly. It will just be that at the 2018 State Championship Meets both Coach Jim Kilbreth and Coach John Jones will not be officiating and 2017 will have been the last time either officiates at the State ever again.